Standard Chartered’s Europe boss has defended the banking giant’s work culture following a spate of recent resignations amid allegations of misconduct by senior staff. Tracy Clarke, regional chief executive for Europe & Americas and head of its private bank, stressed that she has observed a “strong” and “inclusive” culture during her 32 years at the lender. “I’ve been here a long time, as you know, and we have not got a toxic environment, and actually I think the culture at Standard Chartered remains one of our great strengths – I really do,” she told the Press Association. Ms Clarke said that chief executive Bill Winters “leads from the front as far as conduct is concerned”. It comes after a string of cases that have shone light on less savoury behaviour by senior staff. The company’s London-based global head of compliance, Neil Barry, was initially placed on leave in March after employees complained about his behaviour. It triggered an internal investigation which found that his “managerial style, behaviour and language towards some of his colleagues was inappropriate”, according to an internal memo. While his actions were was “not in line” with Standard Chartered values, they “fell short” of warranting his dismissal, though he eventually agreed to “move on”. One incident reported by Bloomberg involved Mr Barry approaching two colleagues in a cafeteria, proceeding to ask why a female co-worker was socialising with a male counterpart. He reportedly went on to claim that she was his and made a flippant remark about the male colleague’s sexuality. Ms Clarke said the bank has ramped up its “Speak Up” channel, which gives employees an opportunity to confidentially report any misbehaviour and was the basis for the investigation into Mr Barry’s actions. “And all of our data tells us that the use of the Speak Up channel has grown significantly over the last few years,” she said, but clarified that this was more likely to do with workers feeling safer in making a complaint rather than a spike in bad behaviour. “Those issues were probably always there in the corners of the organisation, but now we’re shining a light on them – our own people are shining a light on them – and that’s what you want, and then you deal with them,” Ms Clarke added. 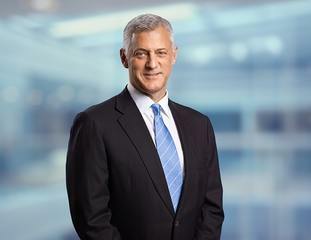 In a separate incident, Standard Chartered’s head of anti-bribery and corruption, Matt Chapman, left the bank last year after reportedly facing allegations that he changed the performance review of a colleague he was having an affair with, and promoted her before stepping down. Mr Chapman has since been hired by Aviva to work in its financial crime compliance department. But Ms Clarke said those incidents highlight the hard stance that Standard Chartered has taken on misconduct. “Whether you’re a very junior person in the organisation or a very senior person in the organisation, if you cross a line, then that will be dealt with very, very firmly.